We offer you a tour of the three basque capitals, Vitoria-Gasteiz, Bilbao and Donostia/San Sebastián, and the coastal Zarautz, Hondarribia and Irun with the planned schedule for Easter. This Easter escapes to Euskadi. Prepare a travel plan to know their cities and the most important coastal towns. In less than an hour and a half drive you can travel to each of it and enjoy everything it offers, each with its uniqueness. In Vitoria-Gasteiz, delve into its Historic Quarter through the many guided tours scheduled to the Cathedral of Santa Maria and the Wall, literary route… The Space for families offered by the Centre Basque Museum of Contemporary Art Artium with the workshop “What? would happen if…? “, the rest of the cultural offer with museums and exhibitions, activities in nature, the offer of wine… A city certified as a Sustainable Tourist Destination and awarded as European Green Capital, where you can enjoy its quality of life. 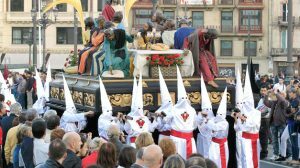 During The Easter days the different processions will happen. 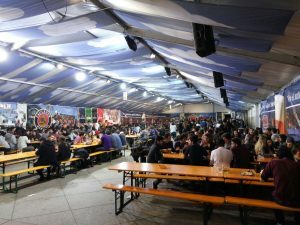 The next destination would be Bilbao, which for Easter has organized Basque Fest. A festival that brings together cultural, music, sports, gourmet gastronomy and a market area throughout the city. Activities that bring together tradition, innovation, art and the avant-garde and that add to the continuous supply of a constantly boiling capital. Two of its most outstanding museums have in the program these holidays, in the Guggenheim Museum Bilbao the exhibition of Giorgio Morandi. On the other hand, the Museum of Fine Arts offers an exhibition on the evolution of Basque art called “After 68”. And with the Cantabrian sea in the background, discover the Bay of La Concha in Donostia/San Sebastián. The photo is forced in his popular railing with that natural scenery. 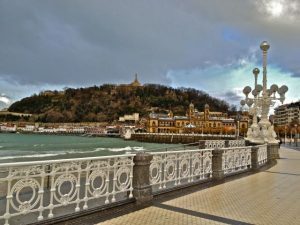 Another of the essential things to do is to eat a pintxo in one of its many bars, enjoy the parks and nature, take a walk of seven kilometers from the beach of the Zurriola to the Comb of the Wind, know the neighborhoods of the city, go shopping or take part in guided tours and get to know the most important points of Donostia/San Sebastián. To culminate the Escapade in Hondarribia and Irun, just a step from France. 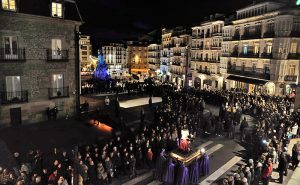 Hondarribia is home to Good Friday its popular procession of Silence, one of the few towns in Gipuzkoa that keep it. 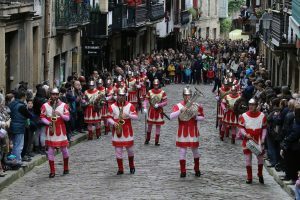 The Via Crucis takes place first thing from Errandonea to Guadalupe through the old cobbled streets of the Historic Quarter. A tradition that has more than 400 years of history. After The descent in the afternoon of the Crucified Christ, the procession of Silence begins and in which the local population participates in absolute silence. They Are accompanied by Roman soldiers, twelve apostles and people with lit candles. On Easter Sunday, the procession of the Encounter begins in the morning or ‘ Topara ‘ which culminates thirty minutes later with the Major Mass in the parish.